KEENE, N.H. (AP) — Carpenter Peter Massie has come across some interesting finds over the years — antique bottles, old newspapers stuffed in walls. But his biggest discovery of all is the only known copy of a 1911 Mary Pickford movie that marked a turning point in the silent film star's career. The Library of Congress is funding a project to restore the film, titled "Their First Misunderstanding," and it will be shown next month at Keene State College, where a retired professor has overseen the restoration. The film is the first for which Pickford was given credit in the advertising materials. Before that, movie studios didn't want actors to become household names because they'd demand more money, said Pickford scholar Christel Schmidt, editor of "Mary Pickford: Queen of the Movies." Massie, who discovered the film along with six other vintage reels in a New Hampshire barn he was tearing down in 2006, is looking forward to seeing it. "This is the coolest thing I've ever found on any job," he said. "It's pretty fantastic, that's what I think. They were seconds away from going into a Dumpster." The property where Massie found the films apparently used to be a summer camp for boys, and the movies were probably shown to entertain the campers, said Larry Benaquist, who founded the film program at Keene State. Massie donated the films to the college, and Benaquist led the effort to identify and restore them. Pickford, known as "America's Sweetheart," was one of Hollywood's earliest stars. She was a co-founder of the United Artists film studio and helped establish the Academy of Motion Picture Arts and Sciences. She retired from acting in 1933 and died in 1979. The 10-minute comedy-drama stars Pickford and her first husband, Owen Moore, as newlyweds having their first argument. The first minute or so was destroyed, but the rest was in remarkably good condition, Benaquist said. He quickly determined that one of the reels was a lost 1913 silent film about Abraham Lincoln. But it took longer to identify the Pickford film because the 35 mm celluloid had stuck to itself. Once a lab was able to separate the layers, Benaquist reached out to Schmidt. "I was really stunned, because a lot of those early films, you just figure they're gone," Schmidt said Monday. "For that one to turn up was really exciting." Pickford had been known only as "Little Mary," ''The Girl with the Curls" and "The Biograph" girl, after her former studio, but that changed after "Their First Misunderstanding," Benaquist said. "Now she was an actor with clout, and I think she used that to great advantage," he said. 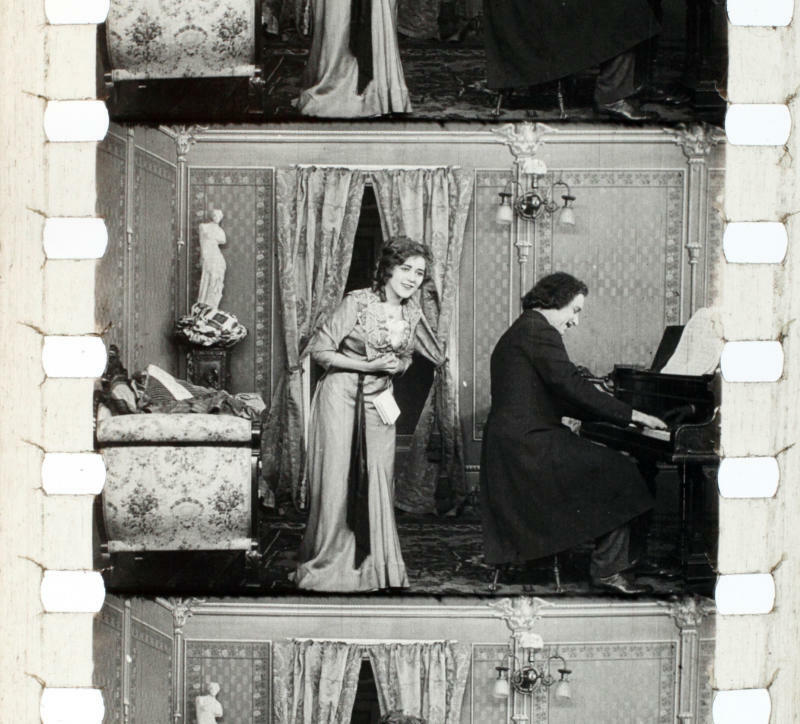 One clip of the restored film shows Pickford bounding into the room and confronting her husband about an invitation from someone she doesn't particularly like. "You see the whole range of emotions in that clip — playful, annoyed, loving and worried," Schmidt said. Massie, who also rescued an old projector from the barn in the town of Nelson, said the owner had told him he could keep whatever he found. Not realizing the nitrate film was highly flammable, he kept the reels in his truck for a while — while he smoked cigarettes — and later stored them near his woodstove at home. "Then I found out I could've exploded," he said. Ninety percent of the movies made before 1930 are gone, Benaquist said. "So, the odds are if you find a stack of films, you might find something that hasn't been around," he said. "With this stack of films, it was like striking gold. It was just amazing. So I've learned never to say no when someone calls me up and says, 'Hey, I've got some old films in my attic, do you want to come look?'" "I always go," he said. "Always."